Words do matter when you are trying to learn a new language. But who said it has to be boring and time-consuming? 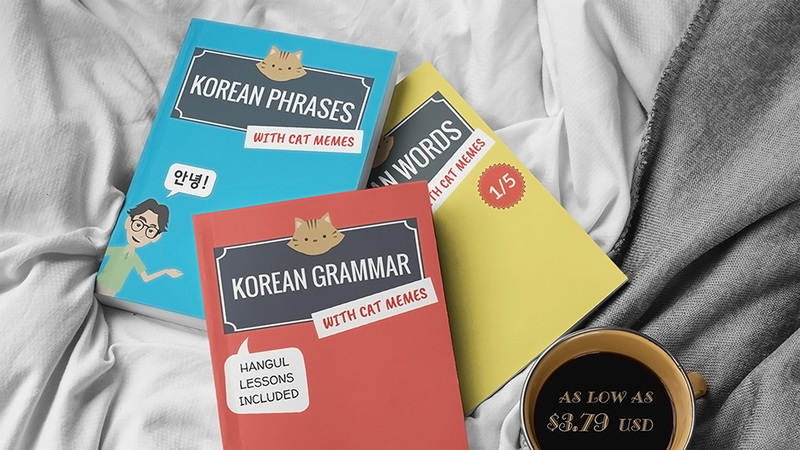 With the Korean Words with Cat Memes series, you only get the essential words you must know before you can understand the Korean language. After reading the books, you will be able to listen to k-pop or watch Korean dramas and start picking up words right away! Learn more by clicking here.